Orissa administration has become so very immoral and corrupt that even the official body of letters – Orissa Sahitya Akademi – is sleeping over a just and proper demand to recall the best novel award it has given to a plagiarizer, even after being notified by eminent authors of the State about the mischief. 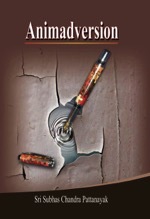 The alleged plagiarist, Manoj Kumar Mohapatra, whose book ‘Nirvana’ has bagged the best prize in the segment of original novels with retrospective effect from 2007, is a top executive in the mining division of IMFA, an industrial house run by the family of a member of Parliament, marked very close to the Chief Minister of the State as well as to the power wielders at the centre and so close that, despite habitual default in repayment, his firm could organize waiver of bank loans to the tune of Rs.2300/- crores in 2007 with the entire non-communist political class keeping mum and the high judiciary refusing to see through the game, as to the judges, the two PIL cases filed successively against the waiver did not merit judicial consideration; because, the first one was “barred by delay” and the second was “barred by the principles of res-judicata and delay”. The Judiciary also stayed away from ‘judicial activism’ in this matter and hence the country never came to know whether the waiver was genuine or a loot. Mohapatra is backed by this industrious house of industry. The moment he bagged the award, IMFA lost no time in putting its “pride” on records and gave him a space to say that he personally was “equally proud that being an employee of corporate sector like IMFA (he) got this award which is a rare phenomena in the literary world”. 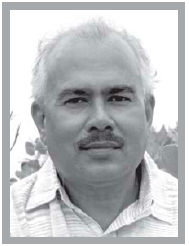 But soon it was to come to light that the book ‘Nirvana’ for which he got the “most prestigious Odisha Sahitya Academy Puraskar” (in the words of IMFA), was not an original novel, but a heavily plagiarized Oriya version of Vietnamese Buddhist monk and author Thick Nhat Hanh’s ‘Old Path White Clouds’. 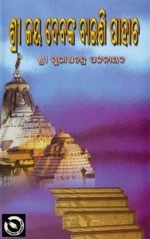 Dr. Bibudharanjan, a mercilessly uncompromising researcher, whom a very oppressive State fails to deter from exposing wrongs of howsoever revered a celebrity is, as is evidenced in his book ‘Michha Mahatma’ which the Government has proscribed but none has dared to rebut, first confronted Mohapatra with plagiarism resorted to in his work and latter, as no response was received, discussed the issue in the October 2011 issue of Saamnaa under the caption Buddhachori that attracted attention of the readers and authors of Orissa, who felt ashamed of Orissa Sahitya Akademi’s best novel award going to a fraudulently produced work of plagiarism. 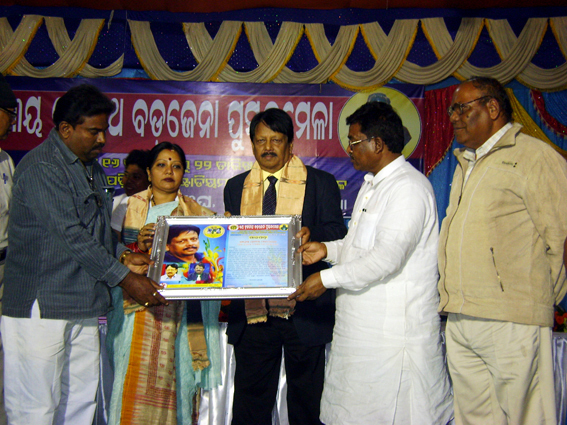 Citing Dr. Bibudharanjan’s Saamnaa story, eminent authors and literary activists united under the banner of Mukta Sahitya Mancha raised a collective protest against honoring of a plagiarist as the best novelist by the State’s official body of letters and demanded that the honor given to Mohapatra with retrospective effect be immediately recalled, at least, in the interest of Orissa’s literary dignity. But who in the Akademi bothers for Orissa’s dignity, when the firm of the Chief Minister’s blue-eyed boy expresses “pride” in bagging of the award – howsoever fraudulently it be – by one of its employees? In fact, many in the Sahitya Akademi, eager to ingratiate themselves with the wielder of power that could hoodwink the entire nation in the matter of loan waiver involving a massive sum of Rs.2300 crores, had neither any qualms in organizing the best novel award for the plagiarist nor have any, in not waking up to the call of the authors of the State to salvage Oriya prestige by recalling the said award so wrongfully given to the plagiarist. Clumsily created as a Society under the Societies Registration Act, the Orissa Sahitya Akademi is entirely controlled by the State Government and manned by their handpicked men and women. Therefore, by pleasing persons that matter in power, any award aspirant is able to fetch the prize of his/her choice even with retrospective effect and/or felicitation. This is why, there are persons, with role in or proximity to power, capable of making compromises or whose black purses were able to afford, have, in the past, entered into the galaxy of authors by bagging awards from the Akademi. This is so shamelessly practiced that there are instances where such awards are stayed or struck down by Courts of law. Genuine writers of Orissa are worried over this. But the Sahitya Akademi has no worry. Probably, it is the Court again where the Award in question may take a test on issues of probity, legality and tenability. Even as no fraudulent work can withstand any test on the matrix of probity, the legality of consideration of the alleged work for the award in the Akademi level will not stand the test of law. In its constitution, elaborating its aims and objectives, provisions are made to restrict its awards only to the “outstanding works”. It is authorized “to award prizes and distinctions and to give recognition to individual writers for outstanding works” as per clause (b) of its provisions on “organization and functions”. So “outstanding work” is the only criteria on which awards are to be offered. A fraudulent production or a work of plagiarism cannot be an outstanding work. When legality of the award rests with outstanding distinction of the work considered for award, a fraudulently produced work of plagiarism cannot have any legal ground to merit even consideration for the award. Hence, on ground of legality, the award for best novel given to Mohapatra’s Nirvana is not tenable. The book is a depiction of the life of Buddha in a form of a novel. In its preface, Mohapatra has given hints to his study of several books on Buddha including ‘Old Path White Clouds‘ before finalizing the scheme of his book. So it was imperative for the Akademi or its selection committee constituted for the purpose to compare his work with the source materials to see if the same was not vitiated with plagiarism. If the Akademi or its authorized committee has not done so, then a wrong is done. If the comparison is made, then plagiarism must have been noticed. If the Akademi has ignored it, then it is a blatant wrong. Dr. Bibudharanjan has rendered the best of services to Oriya literature by exposing the black-sheep and the Mukta Sahitya Manch has taken the most appropriate step in demanding immediate correctional steps in the matter to save Orissa from a global embarrassment. It is not that this matter is a matter that goes on without the knowledge of the State Government. Let it be known that it is a matter of worst implication for the image of Orissa. Delay in action against the users of fraudulent means in this particular matter is an offense against the State. 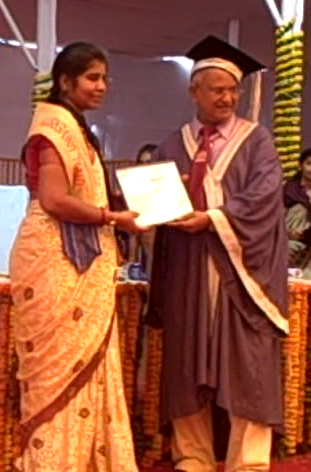 Chief Minister Naveen Patnaik having given the award was a party – might be unknowingly – to this offense. But by not taking any action against the Akademi despite exposure that has rocked the State, he certainly is knowingly a party now to the continuing offense against Orissa and her literary dignity. This has to stop at any cost. 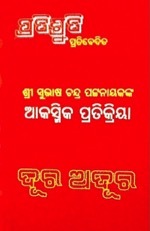 Let it be known to the Chief Minister that awarding a book – fraudulently copied down from a foreign language through plagiaristic means – with the best prize for original work in Oriya language by the State’s official body of letters, is an insult to Orissa, which can never be countenanced. 1. The Chasi Mulia Adivasi Sangha (CMAS) and the people of Narayanpatna are fighting to restore their due rights over land and resources, which the state should rather ensure. Why is the state treating them as dreaded criminals instead? Has the state already decided to abandon the Constitution? 2. Under which law is the martyr’s day observed by the people of Narayanpatna an unlawful act that the state let loose such large number of police and paramilitary forces to stop it by terrorizing and brutally beating up innocent people? 3. Have we already formally become a ‘police state’ that freedom of expression and free movement of ordinary citizens are crushed in such barefaced manners? 4. Why is the state so evidently reluctant to settle land disputes in the area? Why are hundreds of people who simply asked for their due rights over their own land still languishing in jail, and those who have been perpetrating untold violence on the local people are given state protection? Thus ask a group of noted activists, comprising senior journalist Rabi Das, Convenor of Lokshakti Abhiyan Prafulla Samantra, Convenor of Orissa Jan Adhikar Manch Dandapani Mohanty, Nisan editor Lenin Kumar and film maker Subrat Kumar Sahu, who witnessed on 20 November 2011, how democracy has been subdued by a “Police-State” in the Narayanpatna Block of Koraput District. The group was proceeding towards Podapadar village to attend a public meeting that CMAS had convened to pay tributes to Wadeka Singana and Nachika Andrew for the supreme sacrifice they had made two years back on the day when the State had unleashed a bloody attack on unarmed tribals there, who were collectively urging upon the police at Narayanpatna P.S. to stop victimising innocent citizens in the style of stymieing Maoist spread. Podapadar was about two kilometres away when at Basnaput village a pack of armed BSF men under the instigation of the Officer-in-charge of Narayanpatna Police Station stopped their vehicle on the road and refused to allow them to proceed. “We tried to convince them (the BSF men and the Police) for hours that the forces had no constitutional right to curb free movement of any citizen and that the public meeting called by the CMAS at Podapadar was well within democratic sanctions and, therefore, they had no right to stop or intimidate people coming to attend the meeting. We were, in turn, kept engaged by the BSF men and the Thana in-charge of Narayanpatna in meaningless discussions without them giving any appropriate reason for not allowing us to proceed. They kept repeating some hollow explanations: “We are instructed from higher authorities not to let anyone go beyond this point” or “Maoists have laid land-mines on the way” and so on. The district Collector on phone expressed ignorance about any such order ‘from above’ to stop people while the Koraput SP did not pick his phone. Interestingly, right at that point, a tractor was allowed to go ahead on the way where ‘Maoists had laid land land-mines’, and about an hour later, the same tractor came back unscathed. After more than three hours of debate, we had no option other than returning from Basnaput village. “On our way back, between Basnaput and Bandhugan, we met several people who narrated to us how the paramilitary forces had attacked and brutally beaten them up when more than a thousand people were peacefully marching towards Podapadar to join the event. Even women and children were not spared; a 12-year-old boy looked terrified and baffled as he showed us his badly swollen face and narrated the assault on the people! Later in the day, we further learned that police and paramilitary forces had forcefully stopped and terrorised at different places thousands of people coming to join the meeting from various directions. Despite such terror unleashed all around by the forces, more than 5000 people had assembled at the Shahid Stambha (martyr’s pillar) at Podapadar. The forces reached there too in the afternoon and started beating up the people mercilessly in attempts to disperse them. Several people were injured, some severely, and at least three of them have been arrested. In the evening, at around 9 pm, we got the news that police had demolished the Shahid Stambha for the second time within a year. This is an extremely obnoxious act of cultural violence in which people are denied their fundamental right to remember and pay homage to their dead ones”. Condemning such police lordship over democracy, the group of progressive activists has called upon patriotic members of the civil society to join hands in solidarity with the victimised tribals of areas like Narayanpatna, so that freedom is no more frustrated by police-raj. “The CMAS has been fighting to restore the rights of native communities over their own land and resources, to shut down illegal liquor shops, and to reclaim their cultural ethos on face of the hegemony established by non-adivasi landlords, moneylenders, and bootleggers. The democratic movement has questioned the unconstitutional manner in which the state had played facilitator to the cultural and economic appropriation in a ‘scheduled’ area. The CMAS has also strongly come in the way of the state’s nefarious plans to hand over the Deo Mali range to mining hawks for profits at the cost of the economy and culture of the local adivasis. To ensure protection to the land-grabbers, liquor traders, and corporate interests, a state of terror has been let loose in the area, with police and paramilitary forces given impunity for their excesses”. “If the state claims to have any respect for the Constitution, we expect it to meet our following demands immediately”, the group has stated. 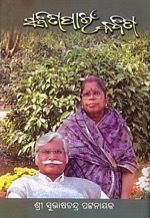 (a) The State should withdraw the entire paramilitary forces from Narayanpatna; (b) release all the people of Narayanpatna who have been illegally put behind bars; (c) withdraw all the cases falsely registered against hundreds of adivasis in the Narayanpatna area, including those against CMAS leader Nachika Linga; (d) settle all land disputes in the area after duly consulting the local people and (e) scrap all the MoUs with corporate and government entities relating to mining on the Deo Mali range. Chief Minister Injures Ligament on Right Leg: Is Exposed Land Scam Too Worrisome to Keep Him Stable? Chief Minister Naveen Patnaik is not coming to his chamber in the State Secretariat since 17 November and Officers have been taking urgent files to his residence, because he has severely injured his right leg ligament by falling down while taking a regular walking exercise in the campus of his residence. To have such an injury by falling down while walking where one is not well acquainted with the place, is not unusual. But a physically and mentally fit person’s fall in his own residence campus where he performs the walking exercise habitually everyday and knows every bit of the stretch and its surroundings, to the effect of developing a severe injury, cannot but be unusual. Had he remained attentive, he could not have fallen. Then was he inattentive? The question is clamant, because he is an autocrat in a pattern of administration that people believe to be democracy. There are many instances of men in high positions missing steps or making wrong movements due to inattentiveness to the extent of exposing themselves to danger. Oleg Penkovsky was caught, because he was seen inattentive in a coffee bar. Viktor Suvorov (Vladimir Bgdanovich Rezun) describes Penkovsky as a man, whom “historians will remember with gratitude”, as, because of “his priceless information the Cuban crisis was not transformed into a last world war”. He was zeroed in by the British Intelligence when his coffee cup was noticed missing his mouth prompting the watching sleuth read in that a reflection of inattentiveness, which eventually materialized in exposure of the secrets he was to vomit, leading to change of circumstances then provocative enough to drag the world into the third (or the last, as Suvorov preferred to say) war of destruction. So, there is reason to apprehend that Mr. Patnaik was under a condition of stress even in the morning and thereby was precariously inattentive during his morning walk when he fell down. Though the real reason of such inattentiveness must be known only to himself, it is feared that he was under heavy stress due to exposure of land scam that was at the pertinent time hitting headlines, throwing him into severe predicament with possibility of unveiling of how he has obliged private land-grabbers, high court judges, political colleagues, IAS and IPS officers but for whose active and tacit support, the offenses committed against the people of Orissa could not have been executed. Amongst beneficiaries of discretionary allotment of plots and houses in Naveen’s regime are former Chief Justice G B. Patnaik, Supreme Court Judge Deba Priya Mohapatra, former Orissa High Court Judge Radhakrishna Patra and others like Justice Sanju Panda, Justice Madan Mohan Das. Beneficiaries amongst IAS officers include Chief Secretary Bijay Kumar Patnaik (two places) and others like Rabinarayan Senapati, Priyabrata Patnaik, Pradipt Kumar Jena, Alaka Panda, Aruna Kumar Panda, P.K.Mohanty, Bishal Dev, Arunodaya Swain, Nikunja Behari Dhal, Asok Kumar Tripathy, Rajkumar Sharma, Kishore Chandra Barik, Ratindranath Padhi,Sanjay kumar Singh (two places), Madhusudan Padhi, Pradipta Kumar Mohapatra, Prasant Kumar Nayak, Bhaskar Jyaoti Sharma, Anil Kumar Samal, Bipin Bihari Mohapatra, Bikash Chandra Mohapatra, Bishnupada Sethi, Laxminarayan Nayak, Chandrasekhar Kumar, Priyaranjan Shaha, Niranjan Sanyal, Rabiranjan Mallik, Vinod Kumar, S.N.Tripathy, Suresh Chandra Mohapatra, K.C.badu, T.Ramachandra, S.B.Agnihotri, Santos Kumar Sarangi, Santosh Kumar Mishra, Satyabrata Sahu and Sanjib Kumar Mishra. Amongst the IPS officers, beneficiaries are the Police Chief Manmohan Praharaj, and Anup Patnaik (two places), Bijay Kumar Sharma (two places), Satyajit Mohanty (two places), M.Aksaya, Sudhansu Sarangi, Prakash Mishra, Suresh Palsania, Arun Bothra, K.B.Singh, Lalit Das, Sushant Das and Panabindu Acharya (two places in wife’s name) etc. No political leadership in the past has obliged salary drawers like these fellows with plots of residential/commercial lands in blatant violation of guiding norms, as has happened in the government of Naveen Patnaik. Obviously these fellows are obliged as tentacles of maladministration. On chance ride on political horse, Naveen has driven away the priority of administration from agriculture – the State’s well settled source of self-employment of maximum of her inhabitants for thousands of years – to mega industries of foreign and non-Oriya root of whom the majority has looted Orissa’s natural resources, specifically valuable mines, before even commencement of factories. 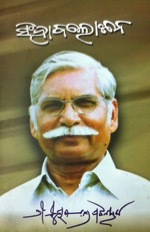 He has sabotaged higher education by keeping majority of faculty posts vacant in general and technological colleges and universities in the public sector and encouraged through sheer nonchalance the private techno-institutes to fill up their larger-than-justifiable-numbers of seats with students below mediocre standards with de facto offer of post-dated degrees that parents/families with black purses easily afford as well as Banks swollen with investors’ surplus money, lend. He has sabotaged the health sector by not educating the public about exploitation by private hospitals while all the hospitals in periphery and medical colleges in public sector are left to suffer draught of doctors, faculties and operators of medical equipments even as their indoor patients jammed in dirty and uncleaned wards get easily trapped by ever haunting agents of private hospitals to shift thereto even if that requires sale of whatever properties they possess to defray their exploitive unbridled charges, in hopes of survival against hope, in absence of any care from the State. So, in most essential sectors – food, employment, education and health – people of Orissa have suffered a set back in the regime of Naveen Patnaik. Yet he is in power, because corrupt and shrewd fellows in IAS and IPS, who control administration, have been collaborating with him and his gang in politics; even as elements of black-sheep in judiciary have contributed to creation of a feeling that it is not easy to establish a guilty as guilty, as a result of which bureaucratic collaborators of Naveen have acted sans qualms so long. But with exposure of how judges and IAS as well as IPS officers have been obliged by distribution of lands with lucrative monumentality, Naveen has perhaps gone into a jitteriness that he is just not able to overcome at the moment. This is perhaps the reason of his inattentiveness, which, a legally authorized investigation by a team of experienced investigative journalists and criminologists combine can unveil. In the past, the then chief minister R.N.Singhdeo had, notwithstanding being in power, subjected himself to a Commission of Inquiry when question was raised over his integrity. Will Naveen follow the precedence? He should; because it looks as if the exposed land scam is too worrisome for him to keep himself stable. He is so unstable and vulnerable to blackmailing by some of his senior colleagues that he doesn’t dare to drop them from his cabinet despite their admitted acquisition of additional government plots was evidently facilitated by false affidavits. Orissa (changed to Odisha under a misconceived Act) needs end of this nastiness. Almost everyday this season, Bhubaneswar witnesses cultural events. 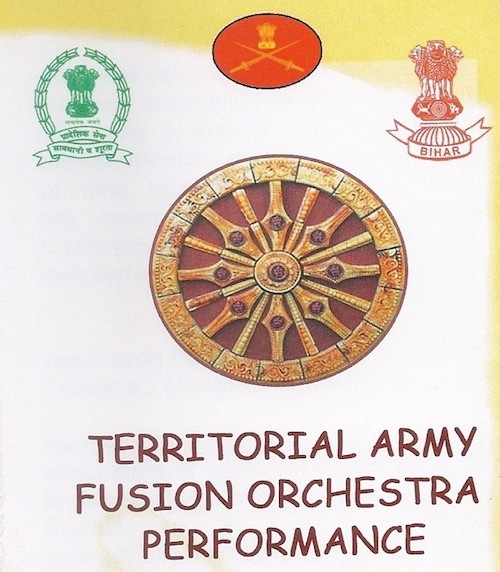 But the city on 19 Nov 2011 was enchanted with a grand musical extravaganza as the Territorial Army in the evening presented a Fusion Orchestra, the band playing a wide range of tunes at Utkal Mandap of the Utkal Sangeet Mahavidyalaya, while celebrating its 62nd Anniversay. 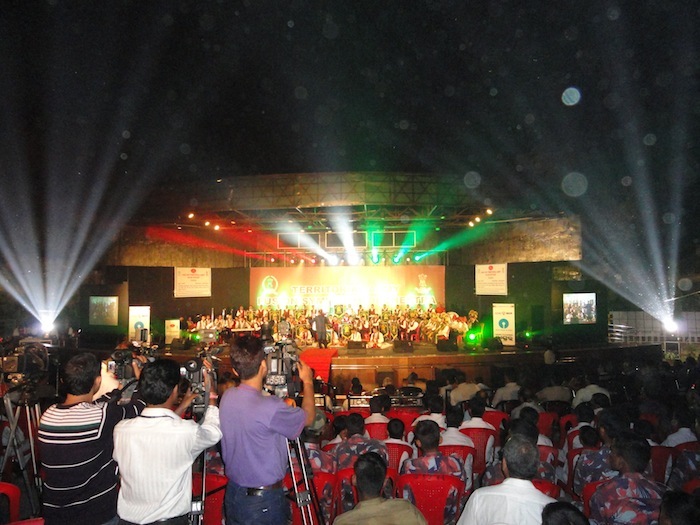 It was a melodious harmony of Martial music, Patriotic songs, Western and Indian classical, Contemporary and Folk Tunes, presented by 80 musicians live in 25 performances. When Subedar RB Thapa conducted the tunes of Jana Gana Mana, Raag Yaman, Abide With Me and Sare Jahan Se Achha tunes with Brass, Nischay Kar Apni Jeet Karun, Dil Hoom-Hoom Kare, Zindegi Pyar Ka Geet and TA Song with Brass and Vocal, Hindi tune – Pyar Ka Nagma with Instrumental, Bhala Sipya with Pipe and Brass, Resham Firiri with Flute and Violin and Dhano Dhanya Puspe Bhara in Vocal, Subedar Major Ramessh Singh conducted Patriotic tune with Zazz, Kandhoon Se Milte Hain Kandhe and Chhu Kar Mere Man Ko with Brass and Vocal, Light of Freedom and Jana Gana Mana (slow and regular) with Brass and Mozarat with Violin, Singers Havildar P. Sengupta presented Pukar Ta Chala Hun Main and Badii Door Se Aoya Hai , Sipoy S. Sarkar Ye Jamin Gaa Rahi Hai, Hav. S.K. Ghatak Jab Koi Baat Bigar Jai, Jitendra Harpal Rangabati and Laxmikant Palit Bande Utkal Janani. 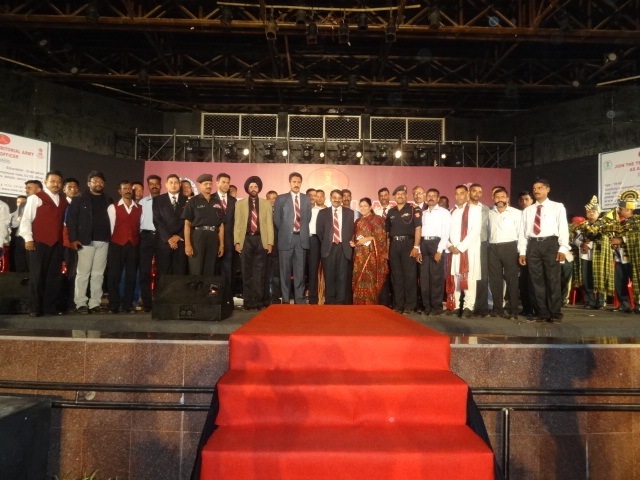 The event was organized for the first time in Orissa (now Odisha under a misconceived Act) by 120 Infantry Battalion (TA) BIHAR that came to Bhubaneswar during its Bharat Parikrama program as a part of its performance in 22 cities addressed to national integration and to arousing sense of patriotism and increasing overall awareness amongst youth about Territorial Army and the Army. The musicians played instruments as varied as Woodwinds, Percussions, Strings, Brass, Pipe with elaw. A mix of Indian and Western tunes that emerged from the Flute, Piccolo, Bassoons, Corner, French horns, Trumpets, Saxophones, Tabala and Santoor made the evening memorable. “It was really eclecticism at its best. 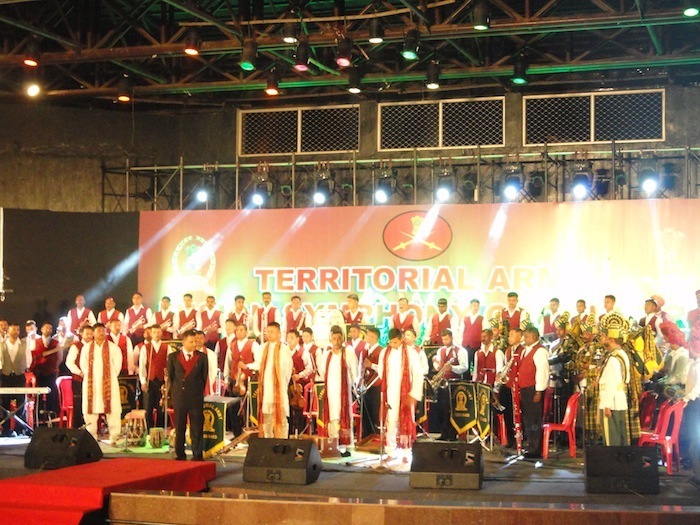 The band performed very nicely and set the perfect mood for the evening” said Governor M C Bhandare, who graced the occasion as Chief Guest. Photographs courtesy of Colonel S.K.Padhi, Second-in-Command, Commanding Officer, 120 Infantry Battalion (TA) BIHAR, Bhubaneswar. 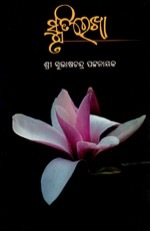 Oriya poetry is far from playing its guiding role in society, as, despite progress, it could not cross the labyrinth of divinity, says scholar Suchismita Pattanayak, in a study on its trend of advancement between 1935 and 1970 that has brought for her the Ph.D. degree from the State’s premier University – The Utkal University. 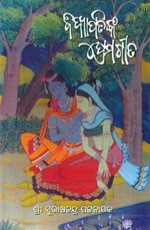 Though poetry in this period had come out of the cocoon of elitism and become quite nearer to members of the society by way of freer verses and clear expressions leaving behind the burden of meters and jargons blossomed to the pick in the preceding era known in the name of Upendra Bhanja, yet it not only drew characters from epics that the Bhanja era had lucidly scripted, but also in works of nature and live events like Chilika or Darabar authored by the initiator of the modern era, Radhanath Ray, divinity rather than human society was more in focus, she has observed. Similarly, according to her, in the succeeding era initiated by the Panchasakhas of Satyavadi – Gopabandhu Das et al – poetry became more patriotic than epic-centric. But yet, projection of divinity was sic passim their poetic works. Man was not the basic entity in their horizon, though to the poets of Satyavadi era, man was at the center of the Almighty’s schemes of creation. The green group, which Annada Sankar Roy of Dhenkanal – later migrated to West Bengal – headed, in the next era named after them, viz. Sabuja Yuga – the era of the youth – had made a new experimentation of supernatural feeling in man’s natural being that eventually gained acknowledgment as the romantic era in Oriya poetic literature. But here also supernaturalism was the pivot of poetic expression, not the youth for which the group was known; and divinity was more recognized than man’s societal environment and/or identification. Even in the era of progressivism begun with foundation of Nabayuga Sahitya Samsad by Bhagavati Panigrahi and his comrades of letters and enriched by Sachi Routray et al whose monumental works of revolutionary expression had the fountainhead in Marxian concept, divinity was not completely discarded. In his post revolutionary authorship, there are instances where Routray accommodates supremacy of time in an environment of loss and emptiness whereas other active founders of this era like Anant Patnaik were also seen on the brims of spirituality and divinity, says the scholar. The post progressive era brought poets of excellent caliber. But depiction of despair and withdrawal, love and loneliness, dreams and disappointment – personal and societal – look more defined in their verses where divinity is more relied upon in search of solution than politico-economic reality. 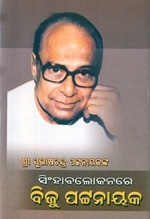 Thus, Dr. Pattanayak says, emancipatory objective of poetry, which should have been made absolute for societal benefit after extrication from elitism could not be properly formulated during the pertinent period from 1935 to 1970, as a result of which, the present poetic literature of Orissa has remained far away from its expected societal relevance.